The French Polynesian authorities announced a dengue type 2 virus epidemic on the island of Tahiti. 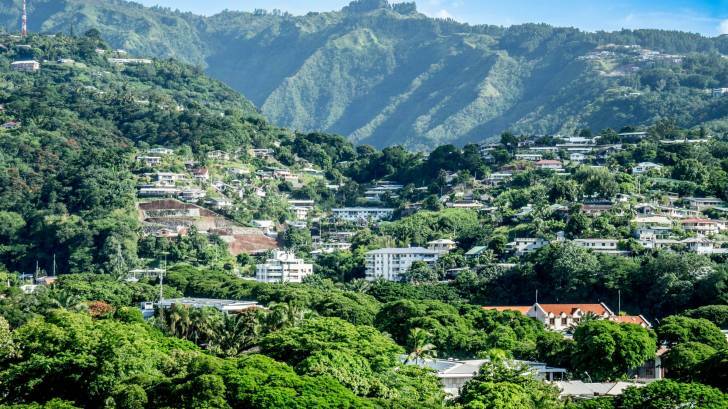 "Following the confirmation of several indigenous cases of dengue type 2, unrelated and scattered over several communities, a dengue epidemic is declared on the island of Tahiti," the government said in a statement published on April 4, 2019. Since dengue type 2 has not circulated in the country since the year 2000, the Tahitian population is poorly immunized and the epidemic could be significant. According to a recent statistical analysis, 8 out of 10 Tahitians (221,000) are likely to be infected with the dengue virus. Additionally, Tahitians under 20 years of age or arriving in French Polynesia after the year 2000, are most at risk of becoming infected with dengue. The vector control actions implemented by the Health Directorate (Center for Public Hygiene and Sanitation) with the collaboration of the municipalities are spraying the insecticide deltamethrin in the affected neighborhoods. Sprays are made within a 100-meter perimeter around a location thought to have been infected. The pesticide mixture is used at a dilution allowing application of 1 gram per hectare. Other French Polynesia Islands, such as Bora Bora, are excluded from this Tahiti announcement. However, the Pacific Island of Fiji reported 2 cases of dengue type 2, with travel history for the period 01/01/2019 – 4/7/2019. Fiji is located approximately 800 miles away from Tahiti in the Pacific Ocean. Previously, the American Samoa Department of Health Surveillance Office reported 2 cases of dengue on February 16, 2019. Dengue is a mosquito-borne viral disease that has rapidly spread to most countries. A recent study estimates that 3.9 billion people, in 128 countries, are at risk of infection with dengue viruses, says the Centers for Disease Control and Prevention (CDC). And, there are 4 distinct, but closely related, serotypes of the virus that cause dengue (DEN-1, DEN-2, DEN-3, and DEN-4). Recovery from one serotype of dengue provides lifelong immunity against that particular serotype. However, cross-immunity to the other serotypes after recovery is only partial and temporary. Since there is no specific treatment for dengue, early detection and access to proper medical care lowers fatality rates below 1 percent. The CDC updated its health information and vaccine suggestions for travelers to French Polynesia on March 29, 2019. This CDC notice does not mention the dengue virus risk in Tahiti. Pre-travel counseling sessions regarding vaccines and medications can be scheduled at Vax-Before-Travel. And, vaccine discounts can be found at GoodRx.